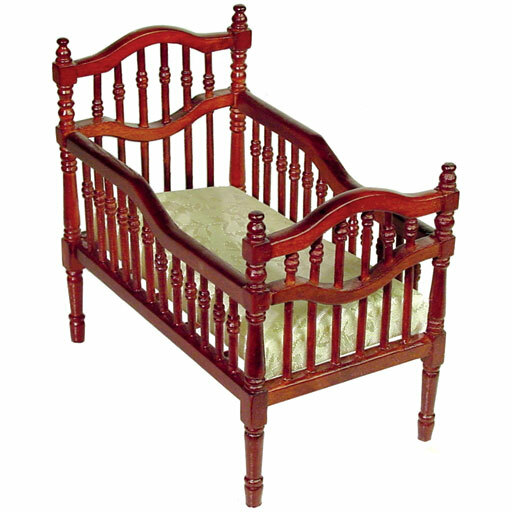 The mahogany finish and elaborate detailing make this miniature Victorian crib look like an antique. Removable mattress. 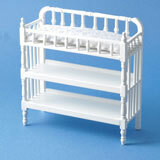 This dollhouse crib is scaled for a large 1” Scale nursery; please be sure to check the measurements and make sure it will work for you. 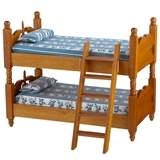 Actually, slightly larger than one of the Victorian youth beds so I'l be putting one of the kids to bed in this and the babies in one of the youth beds. This crib is beautifully made. I am very happy with my purchase. the workmanship on the item is fantastic. I recommend this product, you will be very satisfied.